My Gosh, It's HOT around here at the moment! Days around 30 C and "tropical nights" (=above 20 C). I know a lot of people enjoy it, but frankly.... I've had enough!!! It's as if my brain is melting. 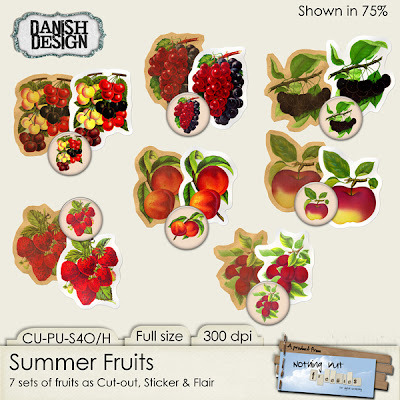 You get a pack of summer fruits to brighten up your work - 7 vintage fruits each as flair, cut-out and sticker. 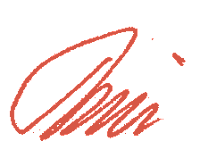 Lately I have received some requests in my comments and if you have something your would like me to make, please don't hold back - I LOVE getting challenged! As an info to "Anonymous" 3 - I'm working on your Marquee Lights and will get them up here soon. Enjoy the rest of your weekend - see you very soon. TY!! These are really wonderful. I wish I knew how to "make" digitals. I have a MAC & no software, & no clue. these are awesome! thank you! man, I can't wait for fall!! These are super cute! Thanks for sharing.